This Sharing Time would also make a wonderful Family Home Evening Lesson! To go along with each day of the service calendar, we have created a symbol. Having a simple image for the children to see will help them remember the activity for each day. The symbols are used throughout the month. 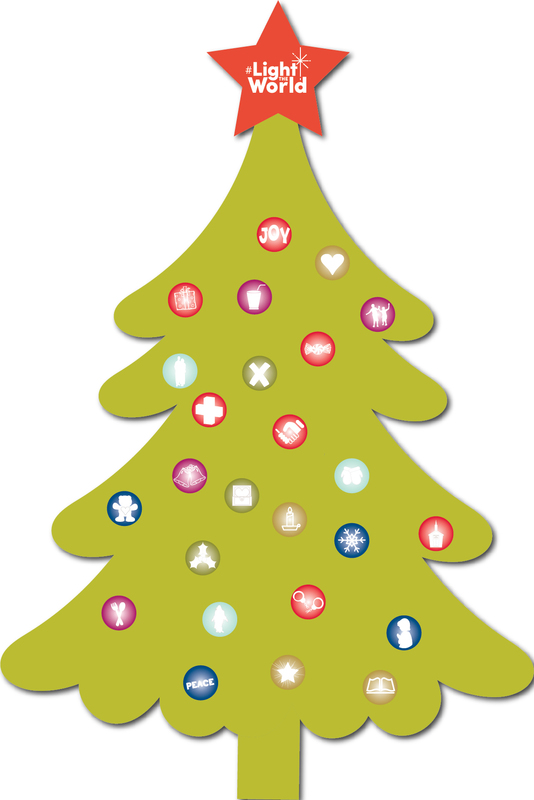 During the month of December, your Primary will be decorating a Christmas Tree with each of these daily symbols as they fulfill the daily activities. Even if a child only does one or two or three of the days, they will get to participate also! 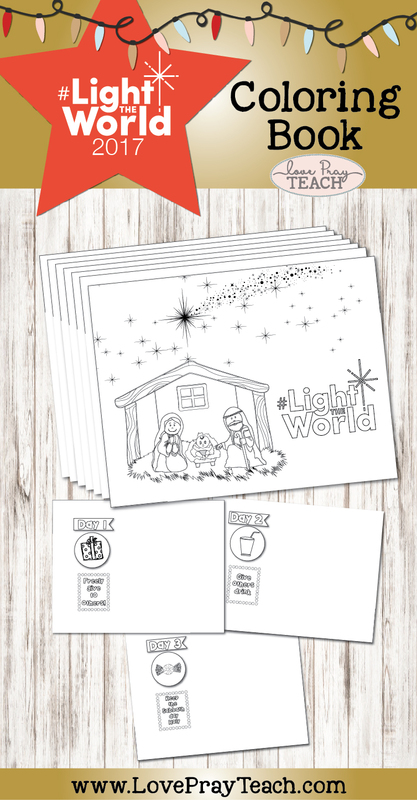 Along with the daily activities, Madison has created an adorable #LightTheWorld coloring book journal. Give one to each child the first of December. Encourage them to draw a picture of the service they gave for each day! The kiddos will be so proud to show you their journal's at the end of the month! To make the coloring book, click on the picture below to download to your computer. 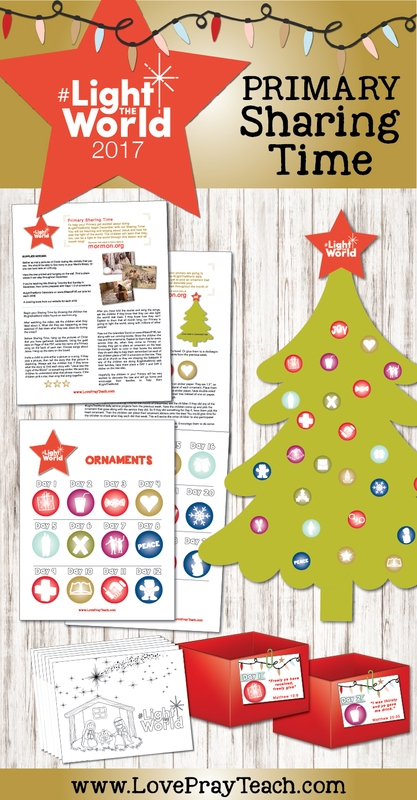 Print one for each child (It has 7 sheets, with 4 coloring pages per sheet). Cut each sheet into fourths by cutting on the little black lines. You could use staples, a brad, or a key ring to connect the pages together. 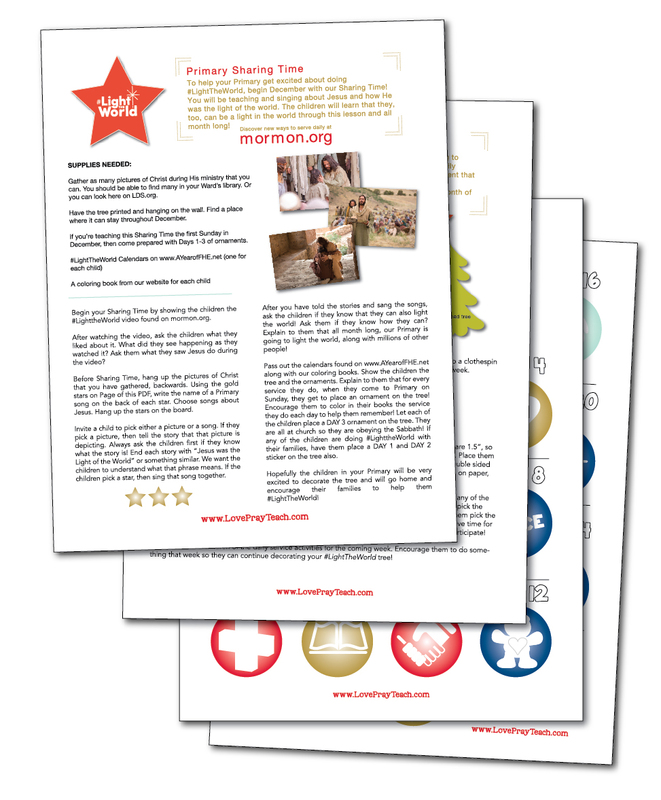 We hope that you enjoy this lesson packet! Please share by pinning an image or sharing on Facebook! If you have any problems/questions with any of the files, please contact us at info@loveprayteach.com. UPDATE: I sent a tree in to Staples to be printed and I received a phone call from them. Apparently, they will no longer print the cheap engineer prints with a lot of solid color! They will still do it but the price was 3-4 times more. 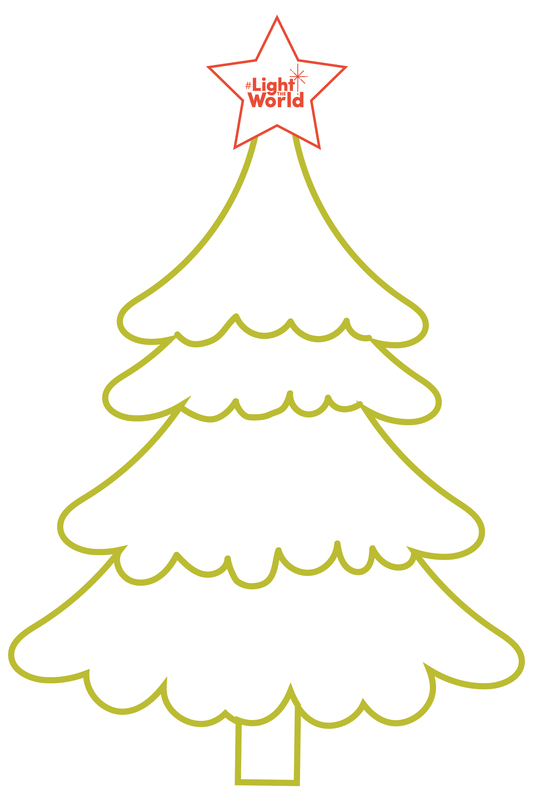 So I made the tree an outline if you'd still like to print the engineer prints for cheap!